Meet on arrival at Indira Gandhi International Airport Terminal III you will be transferred to your prebookedhotel . Spend rest of the day at leisure. The visit of the old city ( belongs to XVIIth century) includes the Great Mosque, Jama Masjid and the Red Fort, a perfect example of Mughal architecture built by Emperor Shah Jahan between 1639 and 1648. Enjoy cycle rickshaw ride around the colorful giant bazaar, Chandni Chowk. In the new part of the city visit – theQutab Minar (built in XIIth century), a splendid monument minaret of the Afghan period. Raj Ghat, the memorial of Mahatma Gandhi, and the Mausoleum of Humayun – a huge building that inspired Persians, is the precursor of the Taj Mahal. Rajpath, the equivalent of the Champs Elysees in France, the India Gate (erected in the memory of unknown soldiers died during First World War), The Parliament, and the house of the President. Morning after breakfast, transfer to Delhi airport to board flight towards Nagpur.Meet on arrival at Nagpur airport and drive to Pench. Pench National Park, nestling in the lower southern reaches of the Satpura hills is named after Penchriver which flows from north to south through the Pench National Park. 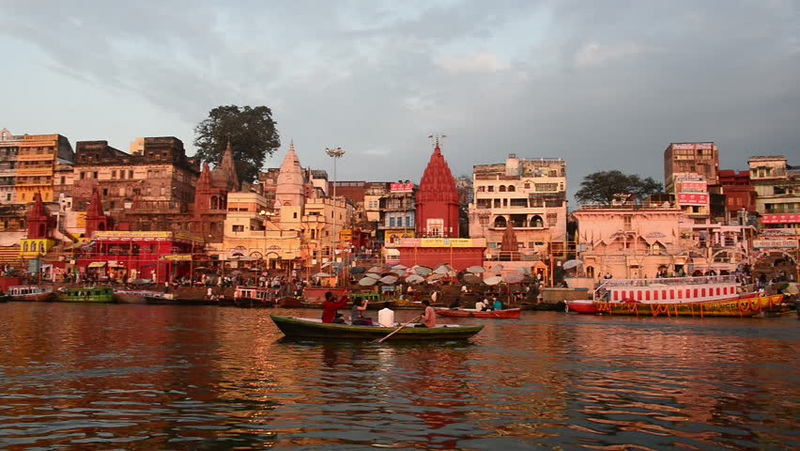 It is located on the southern boundary of Madhya Pradesh. The Pench National Park is very rich in fauna and a number of endangered species have made it their habitat. There are around 55 tigers under this umbrella of the Park. 39 species of mammals, 13 species of reptiles, 3 species of amphibians and over 210 varieties of birds have already been listed. On arrival in Pench, check into hotel. Morning game ride into Pench National Park and later after breakfast drive to Kanha. 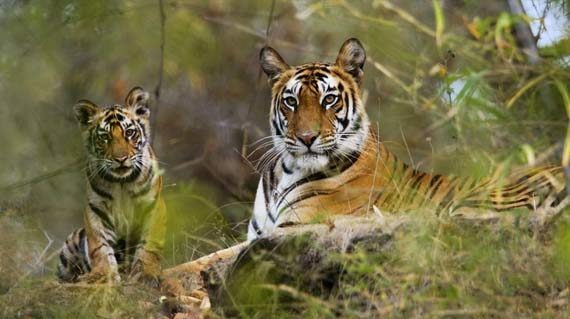 Kanha also is one of India’s largest national park covering an area of 1945 sq km. 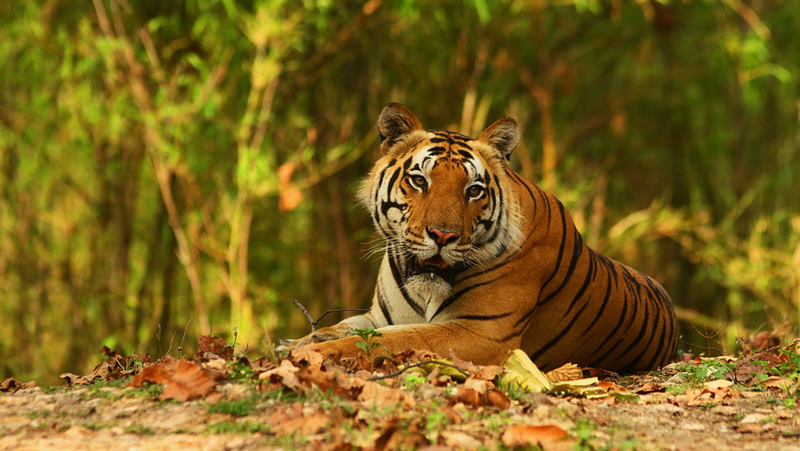 Kanha National Park is one of the largest in Asia. It is a nice park with a varied topography including hills, woods and meadows, which serve as home to a large variety of animals such as chital (a type of deer), Langur monkeys, wolves and leopards. On arrival in Kanha, check into hotel. Morning game ride into Kanha National Park. Later after breakfast to drive to Bandhavgarh.Bandavgarh claims to have the highest density of tiger population in India. 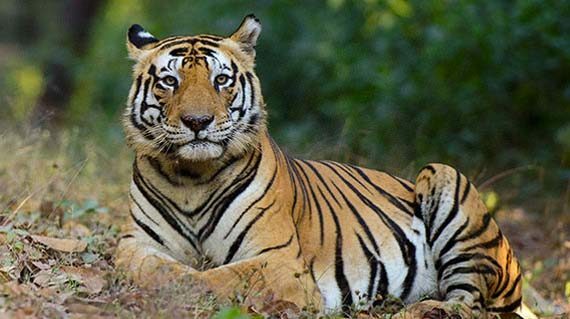 In addition to that Bandhavgarh National Park has variety of wildlife such as Samvar, wild boar, nilgai, gaur, porcupine’s jackals, and leopards as well as many species of birds. The park has different environments and contains over 22 species of animals and 250 species of bird. On arrival in Bandhavgarh, check into hotel. Morning game ride into Bandhavgarh National Park. Later after breakfast spend the day at leisure and in time drive to Umerial railway station to board overnight train for Agra. Met on arrival at Agra railway station and transfer to hotel. After a short rest proceed for the sightseeing tour of Agra visiting the famous TAJ MAHAL This spectacular white marble mausoleum was built by Emperor Shah Jehan for his beloved wife, MumtazMahal. It is a most extravagant monument ever built for love. The shimmering reflection in the water channels is truly breathtaking. After viewing TajMahal, return back to the hotel. After having a relaxed breakfast continue your city tour visiting – Agra Fort, the construction of the massive fort was began by Emperor Akbar following with the additions by the different Mughal emperors, followed by visit to Tomb of Itimad-ud-Daulah — which was built for the Chief Minister of Jehangirs who was also the father of NurJahan, wife of Jehangir. Very often it is also called the « Baby Taj « because its design foreshadows the TajMahal. Spend rest of the day at leisure. Morning after breakfast drive to Bharatpur enroots visiting FatehpurSikri , this magnificient fortified city was the Capital of the Mughal empire between 1517 and 1585, but had to leave because of Shortage of water. After the visit, continue your drive for Bharatpur. On arrival in Bharatpur, check into hotel. After a short rest proceed for the afternoon visit of beautiful Keoladeo Ghana Bird Sanctuary formerly known as BharatpurBirst Sanctuary by cycle-rickshaw. Thousand of rare and highly endangered birds such as Siberian Crane come here during the winter season. Over 230 species of birds are known to have made the National park their home. After breakfast drive Ranthambore situated at the heart of Rajasthan is one of the most famous National Parks of India, Ranthambore. This exciting journey through the countryside by train takes you to SawaiMadhopur. Met on arrival at SawaiMadhopur railway station and drive to Ranthambore. On arrival in Ranthambore, check into hotel. 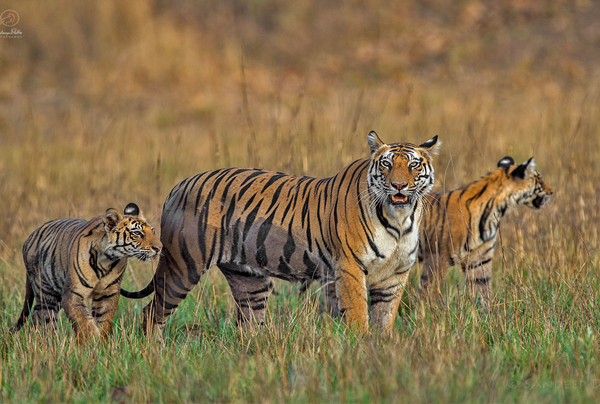 Ranthambore is one of the few preserves where the Camera- shy tigers may be seen in daylight. 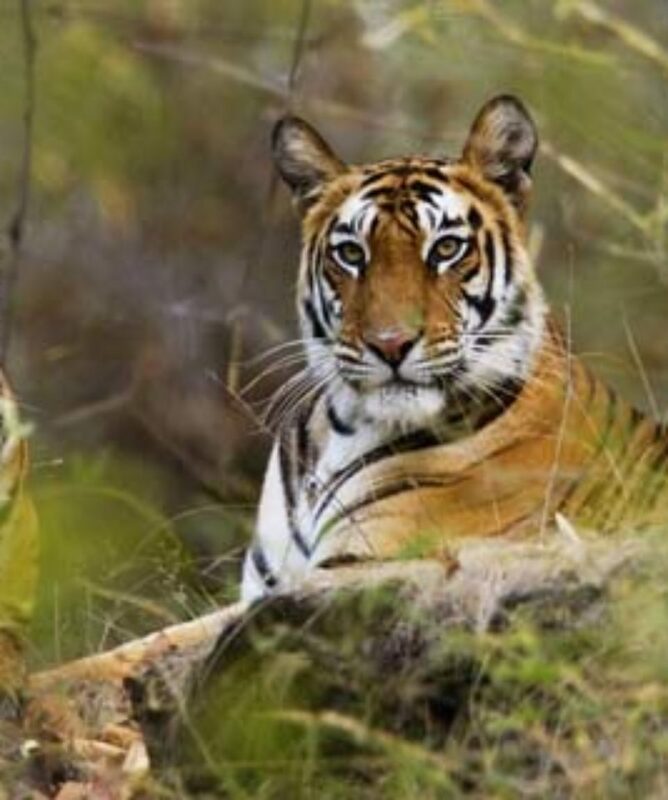 Ranthambore covers an area of about 1334 sqkms and has beautiful scenery. The park has total up to 42 tigers and has a considerable population of birds. It is where Maharaj of Jodhpur used to hunt, was declared a National Park in 1972 as part of Project Tiger. Morning and afternoon game rides into Ranthambore National Park. Morning and afternoon game rides into Ranthambore National Park. Morning after breakfast drive to Jaipur – popularly known as the Pink City, was built in 1727 AD by Maharaja Sawai Jai Singh II. Designed in accordance with ShilpaShastra, an ancient Hindu treatise on architecture. En-route visit FathepurSikri, this magnificent fortified city was the capital of the Mughal empire between 1517 and 1585, but had to leave because of shortage of water. After the visit, continue your drive for Jaipur. On arrival in Jaipur, check into hotel. Rests of the day spend at leisure visiting the surroundings. After breakfast full day sightseeing tour of Jaipur visiting — The Amber Fort situated on the one of the ancient ranges Aravali Hills, 11 kms from Jaipur which was the ancient capital of Jaipur Maharaja, a good example of Rajput style architecture. A slow elephant ride takes you to the top of the Fort, which houses several graceful buildings and a temple of Kali. Later visit City Palace and Observatory. 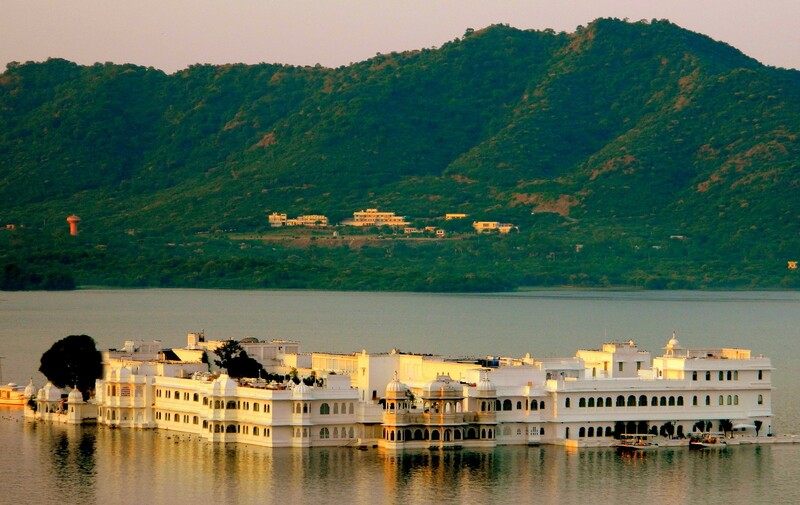 City palace is a blend of Rajasthani and Mughal architecture. The son of the last maharaja and his family still reside in the part of the palace. Observatory – JantarMantar, built by Jai Singh in 18th Century which is the finest observatory built by Jai Singh out of five Observatories. Morning after breakfast drive to Delhi airport in time to board flight for onward destination.